My research uses ethnographic and participatory design methods to understand how people use information and communication technologies for community formation and economic development in the rural Midwestern United States. I am more broadly interested in the ways in which identity and social systems, particularly sexuality, class, and rurality, affect the creation, transmission, storage, and access of information in social settings. I am currently conducting ethnographic research in the Keweenaw Peninsula of the Upper Peninsula of Michigan to better understand how rural communities leverage technology and entrepreneurship in their contemporary economic development practices. This research is in its early stages and is the topic of my dissertation. I lead a research team including co-researchers from Northern Michigan University and Michigan Technological University conducting participatory design workshops with LGBTQ people living in rural and remote communities across the Upper Midwest. We are exploring how our participants envision the future of technology and community institutions for LGBTQ people. This research seeks to generate a better understanding of both rural and LGBTQ users of digital technologies and provide information and data to community service providers in rural areas so they may better service LGBTQ populations. Preliminary results of this research are under review for the Designing Interactive Systems 2019 conference. This long-term ethnographic investigated the uses of social technologies, particularly social media, by LGBTQ people in the rural Midwest. I am interested in the ways rural LGBTQ people use social media to navigate identity-based resources and information, social relationships, and the need for community space in lieu of resources typically utilized by LGBTQ populations in urban areas (e.g. bars, bookstores, community centers). Results of this research are currently in submission at Information, Communication & Society. From August 2017 to August 2018, I was a research assistant on this IMLS-funded grant project, lead by Kristin Fontichiaro (PI) and Dr. Silvia Lindtner (Co-PI). The project was broadly about supporting professional development for “making” (broadly defined) in rural and small-town libraries in Michigan. My role on the project was resident ethnographer, traveling on a monthly basis to two libraries in Michigan for interviews and observations with library staff and community members. My interest in this project lies in how libraries and their staff identify community needs and articulate formal and informal relationships with community organizations in their local making and DIY ecologies. Preliminary results of this research are being shared at the CHI 2019 workshop on the Future of Work and are in progress to be submitted at Library Quarterly. This research is lead by Dr. Patrica Garcia through her NSF EAGER grant #1651653. My role in the project was to work with Dr. Garcia to recruit, train, supervise, and work alongside undergraduate research assistants on a qualitative coding project. The coding project took data provided by our institutional partner (BLACK GIRLS LEAD) to analyze program application responses (alongside interview and observational data) to generate a culturally responsive framework for working with girls of color in STEM education. This research began with a Master’s thesis project on the use of location-based social network, SCRUFF, by gay men in the rural Midwest. The resulting thesis focused primarily on the mediating role of rurality in finding community, navigating sexual relationships, and privacy and safety concerns. It used content analysis of user profiles in urban and rural areas throughout Michigan and semi-structured interviews with users in the rural Midwest. Some results of this work (co-authored with Silvia Lindtner) appeared in the proceedings of CSCW 2017 (PDF) and received an Honorable Mention for Best Paper. This research lead by Dr. Tiffany Veinot assessed the feasibility of using GPS-based data collection techniques for measuring chronic illness management activities. To do this, we deployed smartphones and smart-watches with approximately 25 people with chronic illnesses for a month long period in which the devices recorded location data and daily surveys were pushed to participants. In addition, we conducted two interviews with participants about the devices, their ease of use, and data quality. The results of this research (co-authored with Dr. Veinot and others) appear in the Journal of Biomedical Informatics (PDF pre-print) and the Journal of Medical Internet Research (available here). 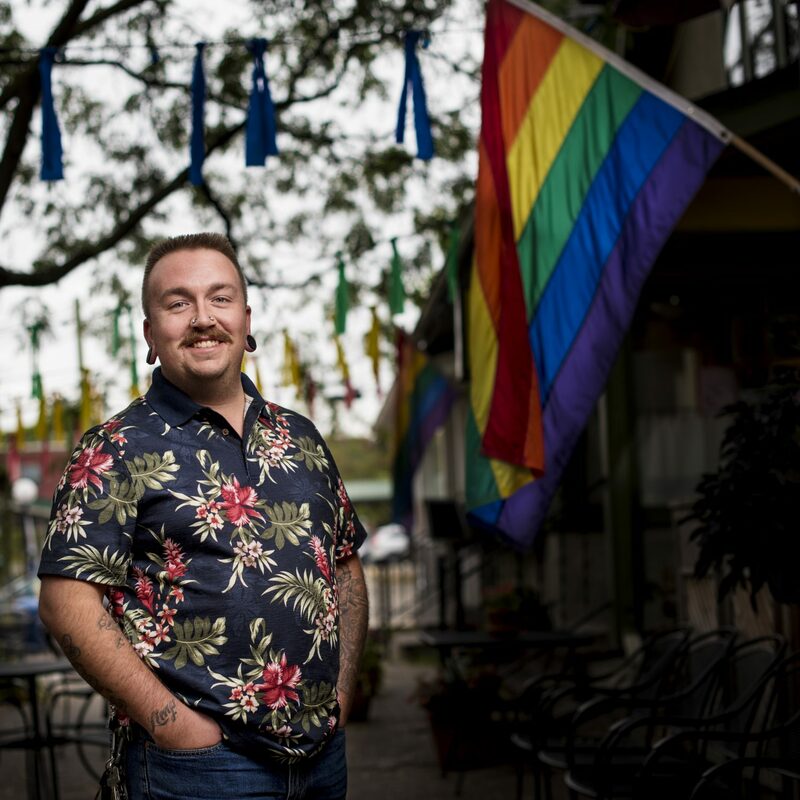 Our team conducted interviews with 28 LGBT parents, in collaboration with PhD pre-candidates Lindsay Blackwell and Tawfiq Ammari, Dr. Tiffany Veinot, Dr. Cliff Lampe, and Dr. Sarita Schoenebeck. This study explores the unique experiences of lesbian, gay, bisexual and transgender parents as they navigate their own identity and privacy concerns in tandem with the challenges of child-rearing in an increasingly digital context. The results of this work appeared in the proceedings of CHI 2016 (PDF; 23% acceptance rate) and received an Honorable Mention for Best Paper.